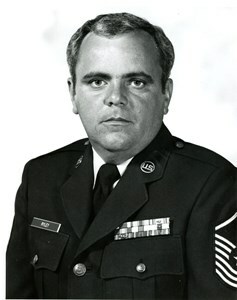 Edward Charles Ryley (SMSgt. US Air Force, Ret. ), age 70, of Orlando, Florida passed away on Sunday, February 3, 2019 at his residence. He was born in Norwich, Connecticut on October 10, 1948 to parents John and Mary (Quinn) Ryley . He is survived by his Wife Wilhelmina Ryley; sons, Dan Ryley, William Ryley, Michael Joseph Ryley; daughter, Veronica Ann Ryley; brothers, John Palmer Ryley, Jr., Dennis Joseph Ryley; sisters, Mary Ellen Ryley, Marian Rose Ryley. A visitation will be held from 4:00 pm - 8:00 pm on Wednesday at Newcomer Cremations, Funerals & Receptions - East Orlando, 895 S. Goldenrod Road, Orlando, Florida 32822. A funeral Mass will be held at 10:00 am Thursday, February 7 at Good Shepherd Catholic Church, Orlando, followed by military honors rendered by the US Air Force. To share a memory of Edward or leave a special message for his family, please click the Share Memories button above. Add your memories to the guest book of Edward Ryley. Love you dad. Miss you more each day. Love you Dad. You are so very missed! Semper Fidelis.